This is a poem by Dr. Jose Rizal, penned just hours before he was executed. 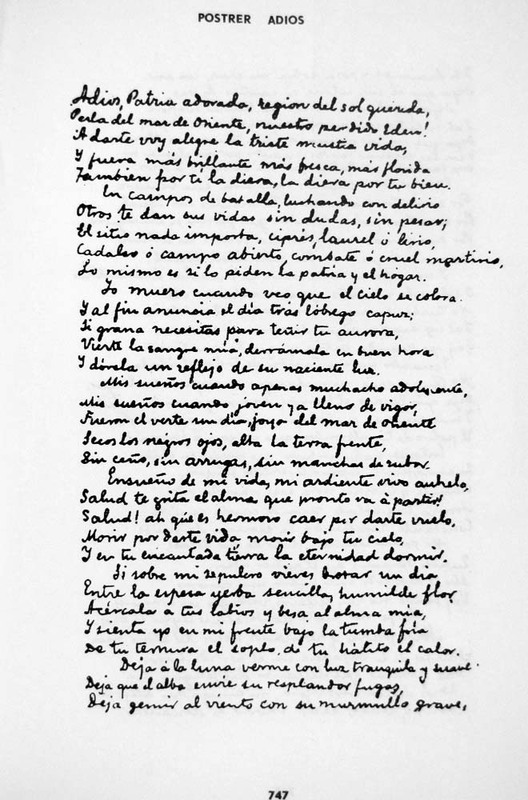 The poem was originally written in spanish and was not given any title. Rizal hid the paper containing the poem in an alcohol stove which was later given to his sister Narcisa. Another possible poem was written in a piece of paper hidden in Rizal’s shoes but the text became unreadable so its content remains a mystery. 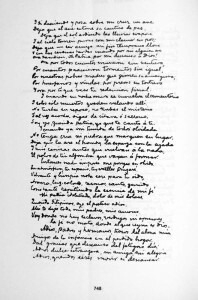 Mariano Ponce had the poem published in Hong Kong and gave it the title “Mi Ultimo Pensamiento”. Father Mariano Dacanay, a Filipino priest, gave the poem the title “Ultimo Adios”. 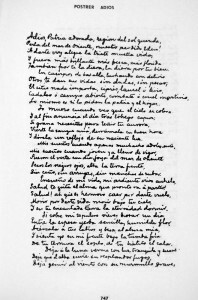 So the poem came to be known as “Mi Ultimo Adios” or “My Last Farewell”. 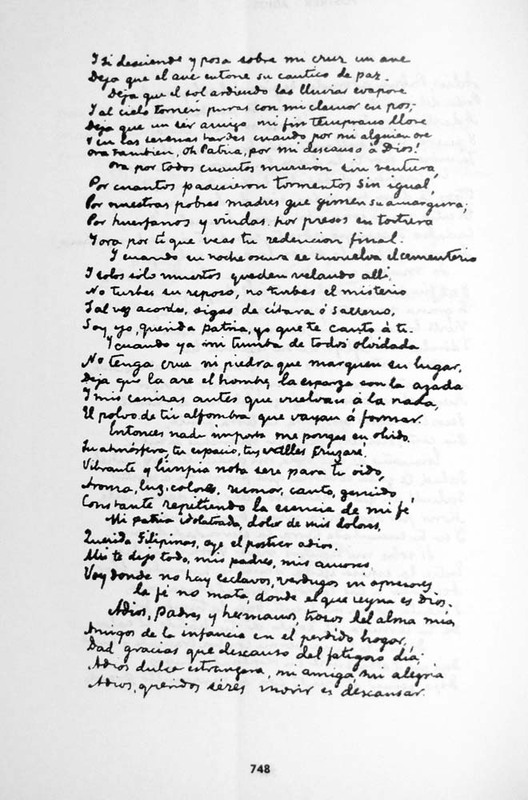 The poem has been translated many times in a number of languages. One of the most popular translation is the English version by Charles E. Derbyshire. Republic Act No. 1425 or Rizal Law – requires Philippine educational institutions to include into their curriculum the study of Dr. Jose Rizal’s Life and Works. Memorizing this poem is a standard among college students taking Rizal 101.